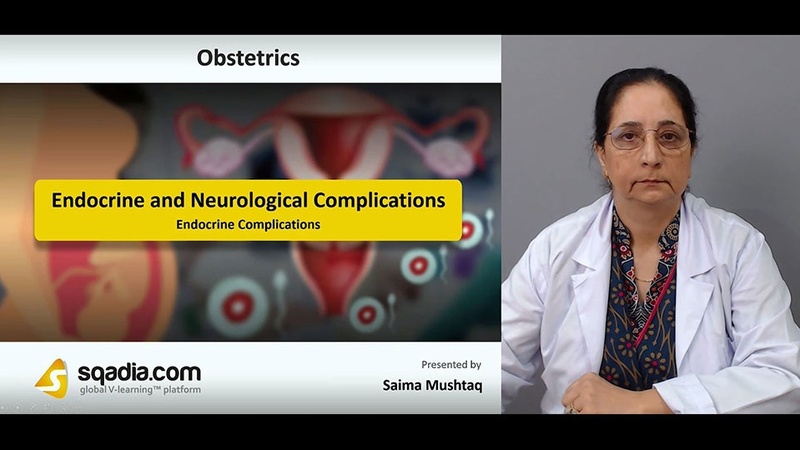 This lecture is devoted towards the explication of Endocrine and Neurological Complications. Section one is designated to talk about a common malady called Diabetes Mellitus. 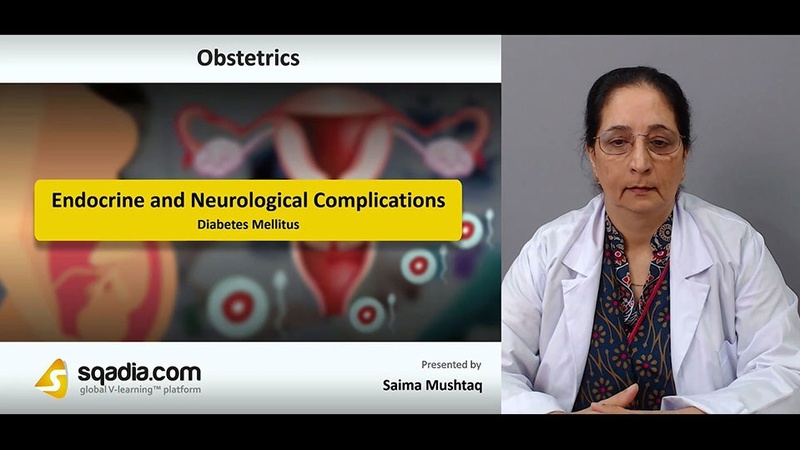 In the beginning, the educator has shed light on Diabetes Mellitus in Pregnancy. Following this, Gestational Diabetes and Implication of Pregnancy on Disease has also been given an account of. In addition to this, Risks of Pre-Existing Diabetes in Pregnancy has also been brought into discussion. In the end, the educator has concluded by stating about the Management. 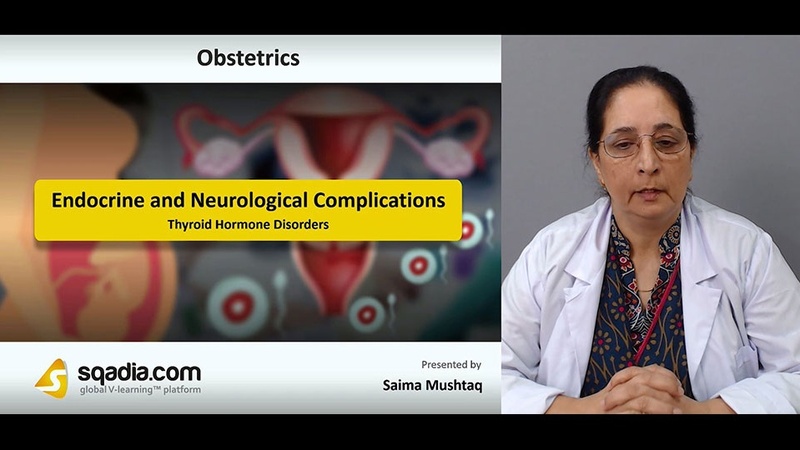 Section two aims at conferring about certain Endocrine Complications. The educator started off by speaking about the Parathyroid Disease. 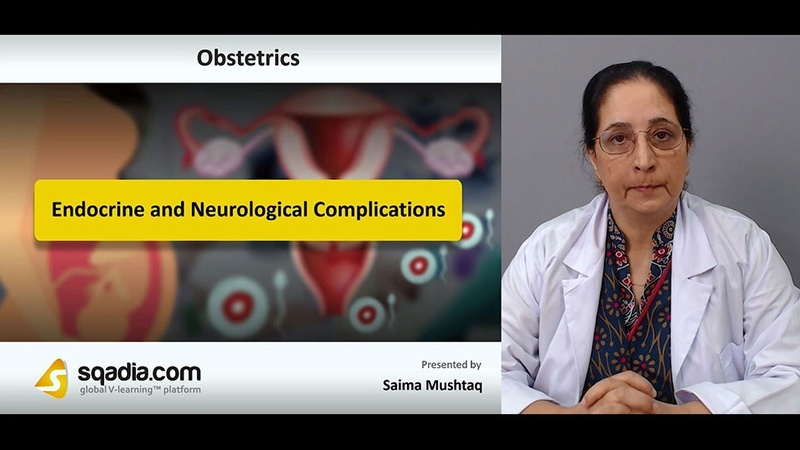 Along with this, the educator has communicated about the Hypothalamic Pituitary Adrenal Axis in Pregnancy in the form of a flow sheet. Additionally, Pituitary Tumours in Pregnancy and Cushing’s Syndrome has also been into contemplation. Moreover, Conn’s Syndrome and Addison’s Disease has also been conveyed. In the end, the educator has winded up by elucidating another condition christened Pheochromocytoma. Section three focusses on the Thyroid Hormone Disorders. Initially, the educator has narrated about a condition of lower production of thyroid hormones under a head called Hypothyroidism. Furthermore, Implication of Hypothyroidism on Pregnancy and Management has also been presented. Then the educator proceeded to cite the Hyperthyroidism in Pregnancy which is the increased production of thyroid hormones. Next in line, Implications of Pregnancy on Disease and Implications of Disease on Pregnancy has been extensively expounded. Moreover, Management has also been familiarized. In the end, the curtains have been brought down by an exhaustive debate on Thyroid Storm. 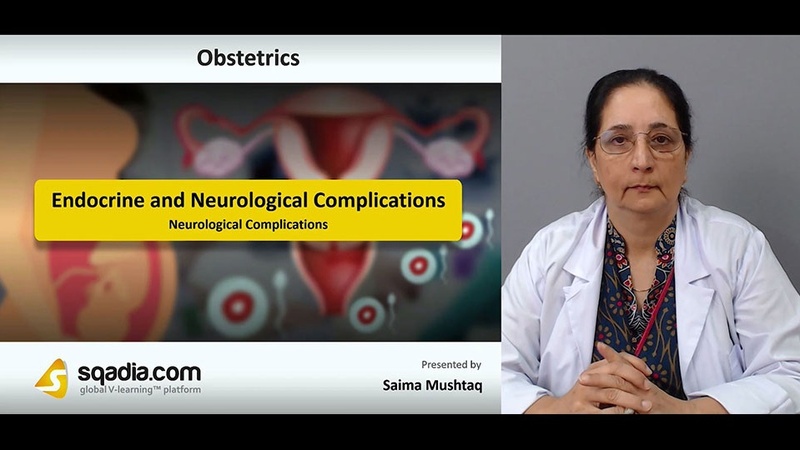 The point of emphasis of section four is Neurological Complications. The educator has firstly conversed about a disease entitled Multiple Sclerosis, comprehensively. Alongside this, Migraine has also been reflected upon, in-depth. Conclusively, the educator has spoken about Bell’s Palsy. Section five accommodates Epilepsy. The educator has started by bringing into discussion Epilepsy. Subsequently, Implication of Pregnancy on Disease and Implications of Disease on Pregnancy has been brought under light. Besides these, Medications and Management has also been described. In the end, the educator wrapped up by drawing attention towards the Other Causes of Seizures in Pregnancy.